Note that this article stays updated if the methodology of how we calculate our indices changes. Indices help us to get a quick impression on the value-evolution of many different bottles at one glance. We can also use them to compare different parts of the market as we already did for the scotch-whisky regions. But in order to interpret an index, we need to know where it comes from. Let us assume that we want to compute the index of the highland region. One possibility would be to simply sum up the worth of all highland bottles for every month and normalize this sum by its value at the beginning of the considered time window. The result would be an index which only knows one direction: up! The reason for this is that for about a third of the bottles in our database we only observed two or three different price information. The majority of these bottles experienced a huge price increase since often there are years in between the single observations. We shall call those bottle “one-hit-wonders”. For this reason, we decided to only include the most traded bottles when we compute indices for various parts of the market, such as the different regions, bottlers and so on. Note that for your personal collection we of course consider all of your bottles. For instance the region-indices consist of the 100 most traded bottles for which we observed at least five prices. If there are less than 100 bottles with more than five prices, we simply only consider those. You will always find the number of bottles an index exists of in the index details. But how do we calculate it? Since we now know which bottles to consider, it is time to do the math. Lets go back to our highland whiskies. In short, we now simply sum up the worth of all of the 100 bottles we defined above for each single month. We then normalize this index such that it starts with a value of 100. The important part is that we get the value of a bottle at a month for which we do not have any price-information by linear interpolation. This means that we simply draw lines between the price-information that we have, which is exactly what we are doing when graphically displaying the price-evolution of one single bottle. As intuitive as this is, it implies an interesting effect. One major characteristic of the secondary whisky-market (as we observe it) is that we do not have a price-information for every single bottle at every given month in time. This simply means that a bottle which was sold in february 2015 for e.g. 200 euros could not show up on our radar until lets say august 2015, where it was sold for 300 euros. The question is how to assign this 50% gain in value on the six months in between those two observations. In general there would be two possibilities. One could simply assign this 50% return to the month of august, or distribute it on all months from march to august. By our linear interpolation of the prices above, we opted for the latter one. The thing with the future and the past is that a new price-observation will therefore affect the value of the bottle, and hence the index, for all months in between the last price-information and the current one. And this is the reason why future prices will not only affect future index-values but also those in the past. If we have a look at our highland index, we now know how to interpret it. 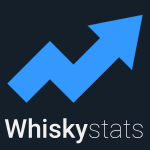 It simply reflects the relative change in value of the 100 most traded highland whiskies. This means that an index-value of 200 in march 2014 tells us that the value of those 100 bottles doubled in the time period between december 2005 and march 2014. And we also know that the months following march 2014 could have affected this value. In this iteration of our portraits series we take on the oldest independent scottish bottler. Cadenhead was founded back in 1842, but it’s not only the long history which makes it worth having a closer look at the Cadenhead bottlings circulating on the secondary market.